The Real Mary King’s Close To Get Miles Better! The Real Mary King’s Close is soon to take pride of place on The Royal Mile as part of a substantial refurbishment and expansion plan following a growth in visitor figures for the fifth year running. The announcement comes as the five star Edinburgh attraction welcomes its 2 millionth visitor since opening back in 2003, having enjoyed a steady 3.6% year on year average growth in visitor numbers over the last five. Last year alone the iconic attraction welcomed over 200,000 guests of which the majority were from outside the UK. The £500,000 development is the largest investment into the attraction to date and marks a new phase in the Close’s history that is set to significantly enhance the visitor experience both above and below ground. The six figure enhancements follow the £25,000 sum invested in the site in 2013 as part of ten year celebrations, ensuring that this popular five star attraction continues to bolster Edinburgh’s tourism offering whilst exceeding visitor expectations. 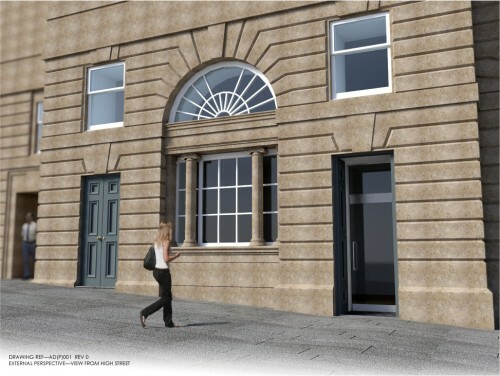 Working closely with The City of Edinburgh Council, plans will see the attraction expanding its site with the reinstatement of original doorways on the Royal Mile to create a prominent on street presence. As well as improved access and facilities, a huge amount of the investment will make way for even more of Edinburgh’s history to be revealed through visual effects and interactive features that complement and preserve the historical fabric of the site. The attraction plans to remain open throughout the whole expansion process and visitors will still be able to enjoy the full underground experience during this time. The first phase of the new investments will be in place and ready to be enjoyed by visitors from summer 2015. 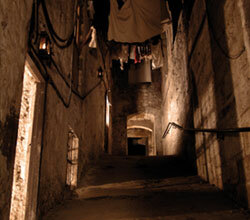 The Real Mary King’s Close is part of Continuum Attractions who offer a host of cultural visitor attraction experiences across the UK, from the hallowed cobbles of Coronation Street to Portsmouth iconic Spinnaker Tower.